University of Houston hires three to football coaching staff. HOUSTON (KTRK) -- University of Houston head coach Major Applewhite has started the process of filling in his new coaching staff. 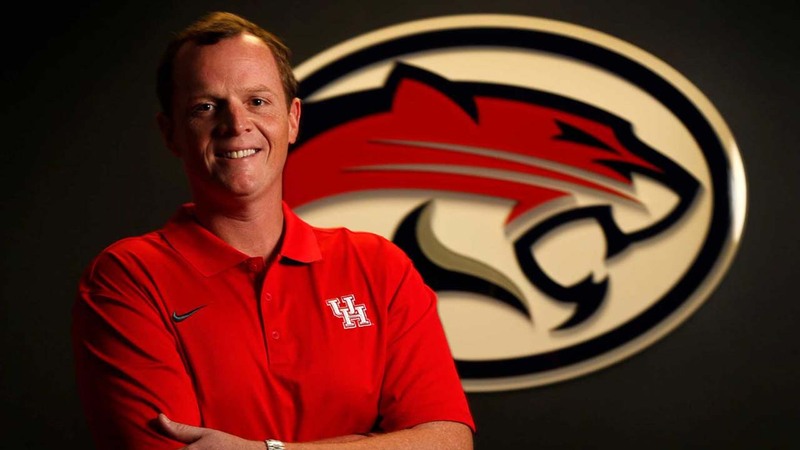 Major Applewhite has been named head coach of the University of Houston's football team, the university has said on Twitter. The Cougars have hired Clay Jennings as the co-defensive coordinator/secondary coach, James Casey as the tight ends coach and A.J. Blum as the defensive line coach. Jennings spent last season as the defensive backs coach at the University of Texas. Prior to UT, he spent two seasons coaching at Arkansas. Casey joined the UH's football program as a offensive football analyst in January following a seven-year career in the National Football League. He was an All-American tight end at Rice University from 2007-2008. Blum was the assistant head coach, co-defensive coordinator and off-season coordinator at Westfield High School.